The launch was held on 7 April, Sunday at 4 pm at the Ignacio B Gimenez Amphitheater, Areté, Ateneo de Manila University. 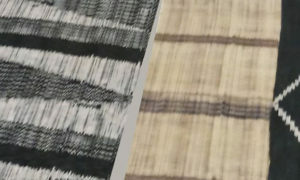 The installation will be on site until 8 September 2019. Ateneo de Manila University launches the Ignacio B Gimenez Outdoor Installation Grant Program, a new program focused on outdoor installation projects in Areté, its new creativity hub. Managed by the Ateneo Art Gallery (AAG), the grant will fund two installation projects per year, each running for 5 to 6 months. It aims to support contemporary artists who wish to explore innovative and engaging art projects that are site-specific and ephemeral. Many of the contemporary artists plan to undertake such projects but often do not gain enough support towards its realization. The Program complements the role of the AAG, through the Ateneo Art Awards, as an active supporter of contemporary artists who have continued to push the limits of artistic practice in the local and international art scenes. 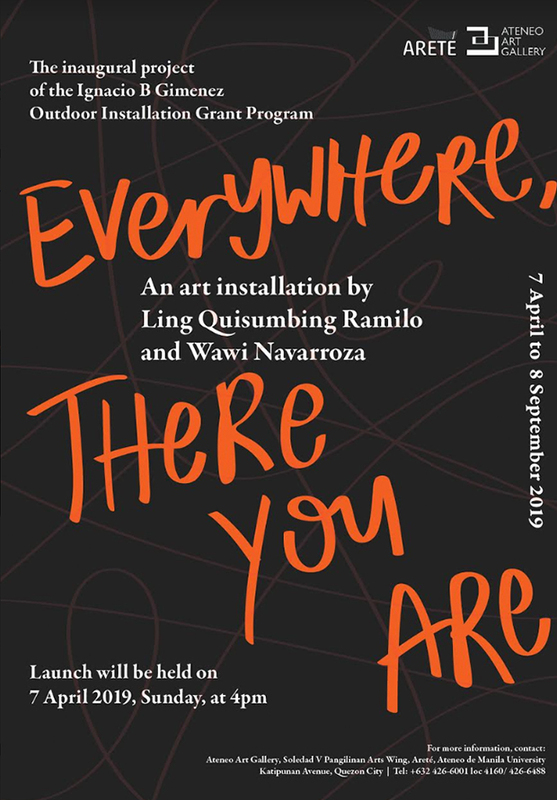 For its inaugural project, Christina Quisumbing Ramilo and Wawi Navarroza were invited to re-install “Everywhere, There You Are”, a project created earlier in two editions of the Malasimbo Art and Music Festival in Mindoro. Composed of fishing nets and strips of fluorescent orange fabric, the panels create segments of kinetic wall interacting with the multi-directional flow of the wind. Visitors are allowed to walk through and experience movement and color. For its iteration in Areté, the installation is grander in scale, a quality which both artists have always been wanting to explore. For more information, email us at aag@ateneo.edu or call 006324266488.